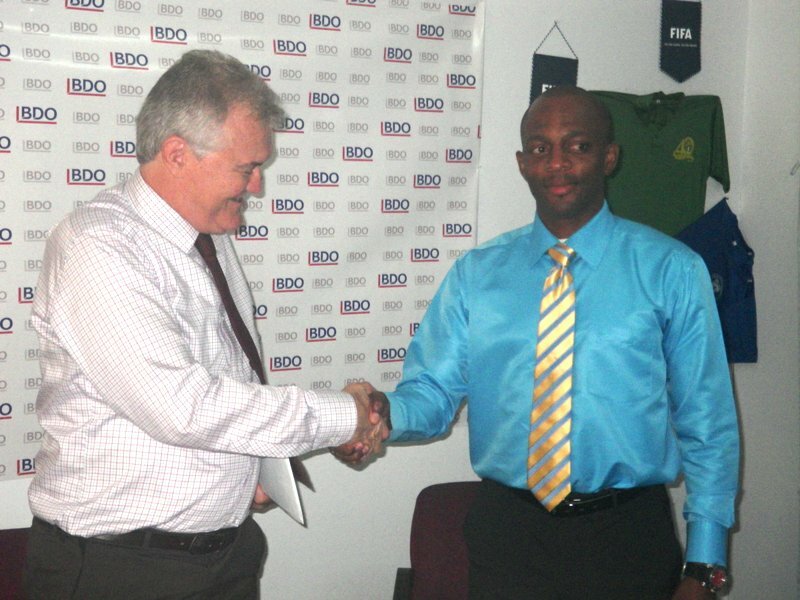 Wednesday 18th January, 2015- After debuting last year as an assistant FIFA referee, Norval Young has retained his status for 2015 by the world governing body. Young, the territory’s only referee to also be certified by FIBA , said his 2014 experience was a great one. “My first year on the list as an assistant FIFA referee, was very rewarding, challenging and it helped to build character as well as you as a person,” he noted, adding that anyone who’s wishing to become a referee, it’s a very rewarding appointment. Young’s first tournament assignment was the CFU Group stages in Haiti, where the winners advanced to the CONCACAF Champions League. Next was the Dallas Cup in Texas, then the CFU Men’s U20 qualifying tournament in Curacao, followed by the CFU U17 qualifier in Trinidad and Tobago. His penultimate series was the Caribbean Cup Group Stages in St. Kitts and finally the CFU U17 finals in Haiti. With an emphatic win, but by the narrowest of margins, the Panthers F.C. leap frogged the U15 Girls team to grab the BVIFA Marlon Penn Nine a Side Women’s league Championship trophy at the Greenland’s Playing Field.